This programme and ticket stub is for the 1963 tour in December. 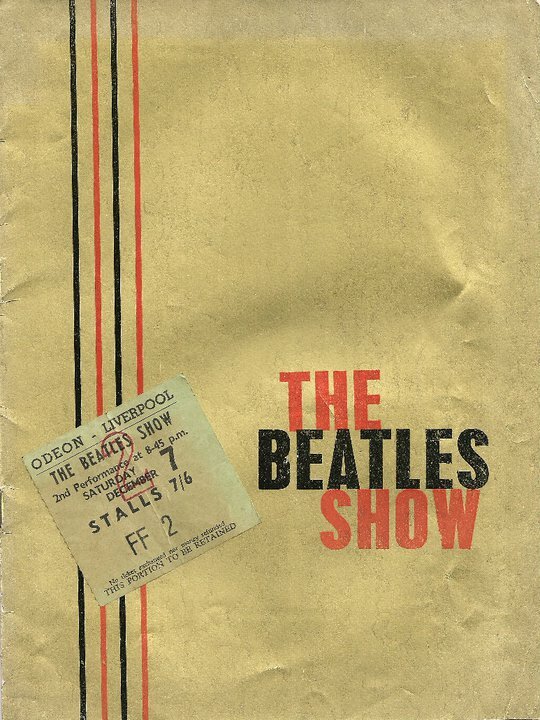 The ticket is for the second show at the Odeon Liverpool (now demolished) on Saturday 7th December 1963. As well as show beforehand the Beatles had earlier been at the Liverpool Empire recording a special version of Juke Box Jury in their home town.